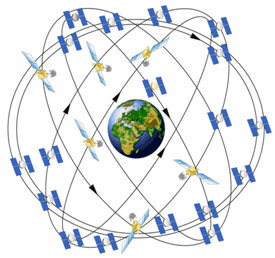 LRS Secretary Andy Sinclair GM7HUD gave a comprehensive talk about GPS - Global Positioning System - and its applications in Amateur Radio including SOTA - Summits On The Air at the LRS meeting on Wednesday 9th November 2011. Read report with photographs in Meeting Reports. 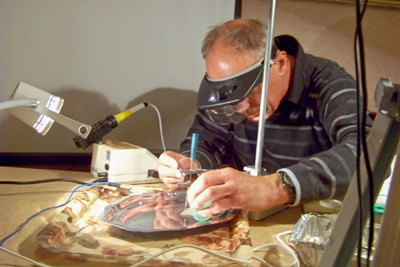 The Galashiels & District Amateur Radio Society held their annual Radio & Computer Rally on Sunday 23rd October 2011 at The Volunteer Hall, Galashiels. 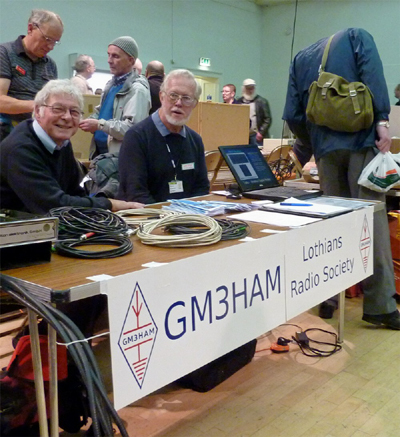 The Lothians Radio Society had an information table at the rally, staffed by LRS committee members, with the latest LRS Powerpoint promo show running. LRS leaflets, LRS meetings calendars and LRS business cards were distributed. At least 12 LRS members attended this show. More photographs are posted under Society Activities. VHF NFD site with some of our operators relaxing. The results of VHF NFD 2011 are just out and show that the Lothians Radio Society operating GM3HAM/P from near Gatehouse of Fleet again did very well in the Restricted Section, coming 2nd overall in the UK and 1st in Scotland, retaining the Cockenzie Quaich. Well-known Scottish DXpeditioner Tom Wylie GM4FDM talked about "Radio Expeditioning to Senegal and Jersey" on 5th October, 2011. 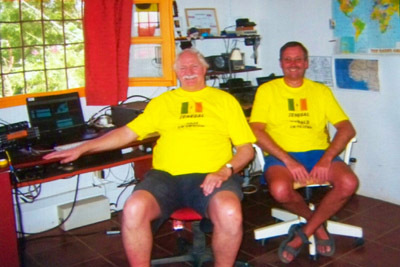 Senegal 2010 was an expedition to West Africa by Tom GM4FDM & Ronald PA3EWP. Their objective was to make as many QSOs as possible especially on the LF bands over a 10 day period. Tom's presentation described how they went about preparing and executing their plan and the problems and highlights of operating ham radio from Africa. Tom also talked about a trip to Jersey for operation principally on 6m plus some HF. Full report with photos in Meeting Reports. The LRS autumn Surplus Equipment Sale was held on Wednesday 19th October at St Fillans Church Hall. There was a raffle with an assortment of "bottles" that contained rather more than a vacuum! Visitors from several other local clubs were welcomed at this well-attended meeting. A report with photos is posted in Meeting Reports. At a special meeting of the Lothians Radio Society at the Museum of Communication in Burntisland on Wednesday 28th September 2011, Prof. Tom Stevenson, Chairman of the MOC, assisted by Dorothy Brankin, Marion McLean and Raymond Parks, presented "WWW - Words, Wires, Waves and the World Wide Web". They described how science has transformed the way we communicate over the last 400 years. After the presentation we had the opportunity to visit the current MOC exhibition with this theme. 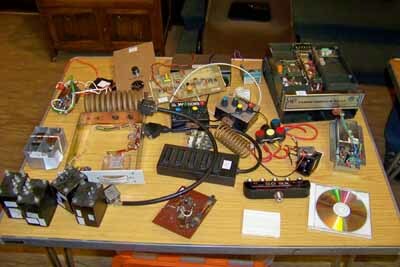 This was a joint meeting of the LRS and the Glenrothes & District Amateur Radio Club. A report with photographs is in Meeting Reports. LRS President Pete Bates GM4BYF giving a demonstration of surface mount construction. The first meeting of the new 2011-2012 LRS club year was the President's Address "Surface Mount Construction Techniques" by the new LRS President, Pete Bates GM4BYF on Wed 14th September 2011 at the Braid Hills Hotel. A report with photographs is posted in Meeting Reports. 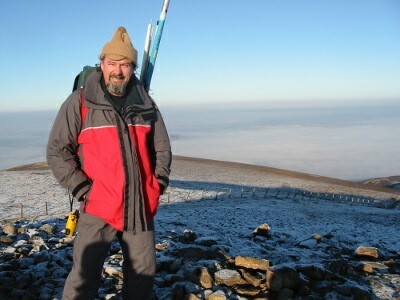 "LRS Members and their Shacks"
Past-President of LRS, John GM8OTI at a SOTA location - Tinto Hill.